For over 25 years, home and business owners throughout Vancouver Island have counted on Mid-Island Cabinets for stunning custom cabinetry and millwork. We offer expert guidance and superior workmanship in a wide range of custom cabinets and millwork. We have showrooms in Parksville and Nanaimo that showcase the elegance of our product and show great pride in our customer service. Apply to become one of our knowledgeable team professionals! – Always provide the highest level of customer service. 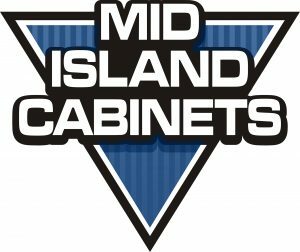 – Work as an independent contractor, operating your own business selling products and services available through Mid Island Cabinets. – Work showroom days as a way to increase customer base. – Responsible for site measures, layouts, final walk throughs and collection of customer deposits. – Maintain electric and paper filing systems. – Take responsibility for one’s own performance by setting clear goals and tracking progress. – Design and cabinet knowledge are required. – Minimum 3-5 years of cabinet related sales experience. – Effective communication skills that demonstrate the ability to work directly with people in a customer service capacity. – Strong attention to detail and superior organizational and time management skills. – Able to work both independently and as part of a team. – Self motivated to drive completion of tasks as quickly and as accurately as possible. – Must have own transportation.